Mousse au Chocolat is one of the standard desserts of France, along with the perhaps even more common Crème caramel. My first attempt to find a simple recipe failed miserably, as the mousse turned out way too dense. I found the solution in a recipe by Delia Smith, which is to use water. This makes for a nice light mousse. To make things a little more interesting I decided to substitute half of the water with amaretto liqueur, but that is not at all necessary for a great result. If you have a stand mixer or another way of whipping egg whites, this is relatively easy to prepare and oh so good if you like chocolate. And who doesn’t?! Here’s my version. 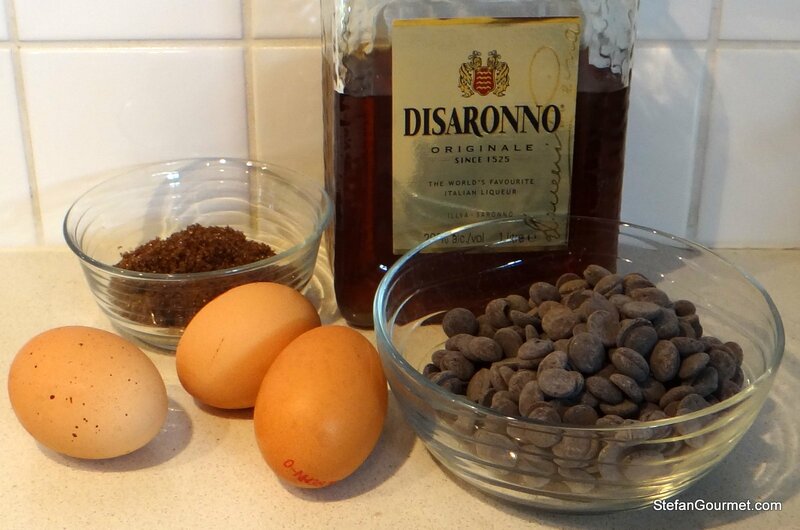 Combine the chocolate chips with the amaretto and water in a saucepan and melt the chocolate over low heat. You can do this au bain marie if you prefer, but that is not necessary if you have a good saucepan and good heat control. 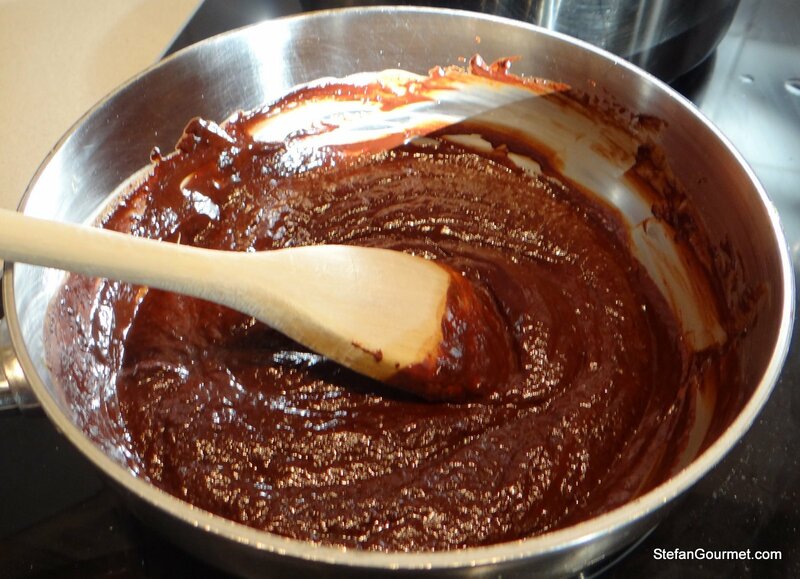 Stir until the mixture is smooth, then turn off the heat and allow to cool for a few minutes. Meanwhile, separate the eggs. 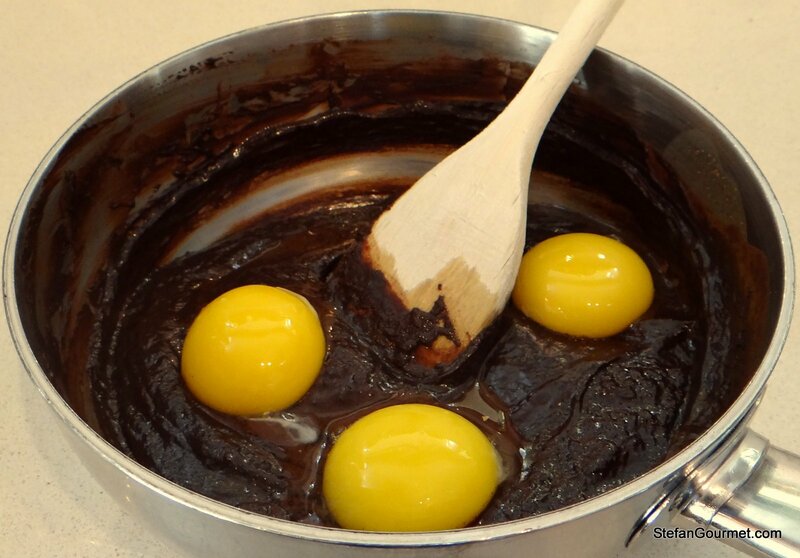 Put the egg whites in the clean bowl of the stand mixer, and add the egg yolks to the chocolate mixture as soon as it has cooled off enough that the egg yolks won’t cook. Stir in the egg yolks until the mixture is smooth again. The egg yolks will make the mixture it nice and shiny. 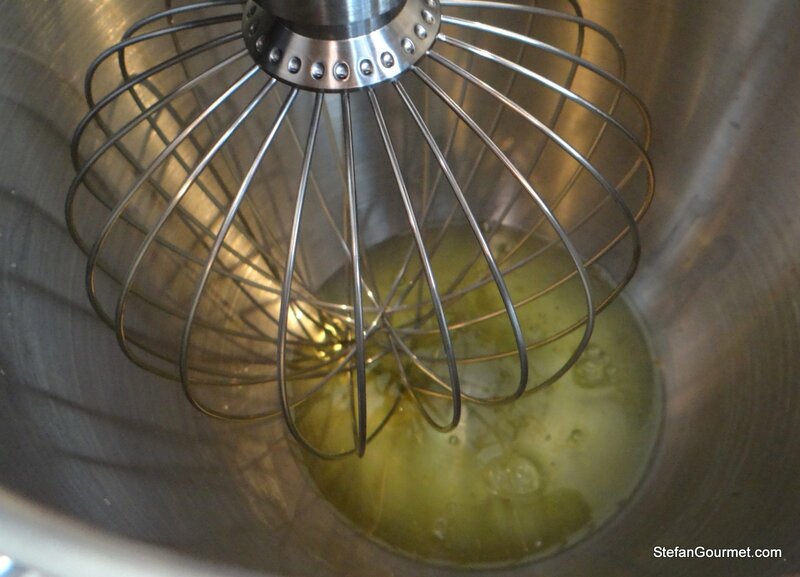 Fit the stand mixer with a balloon whisk. 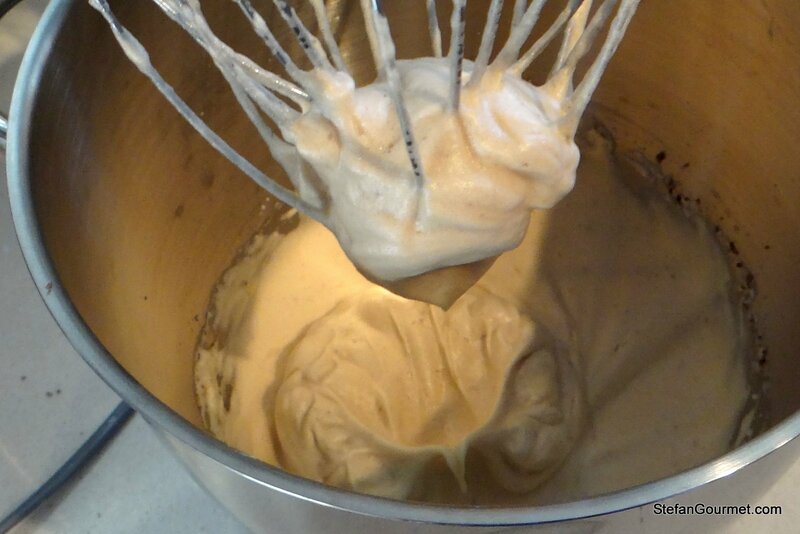 Whisk on high speed until it is very foamy. Add the sugar in three additions. 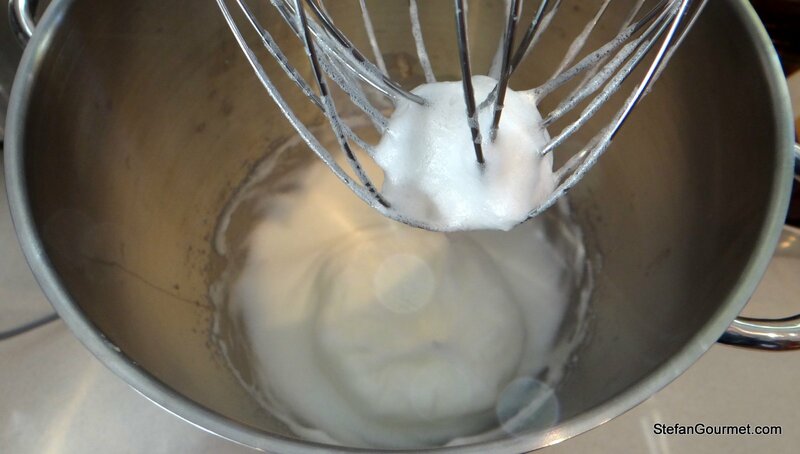 Continue to whisk until the ‘soft peaks’ stage. This means that when you extract the beaters, you will see peaks that will sag a little rather than be firm and upright. 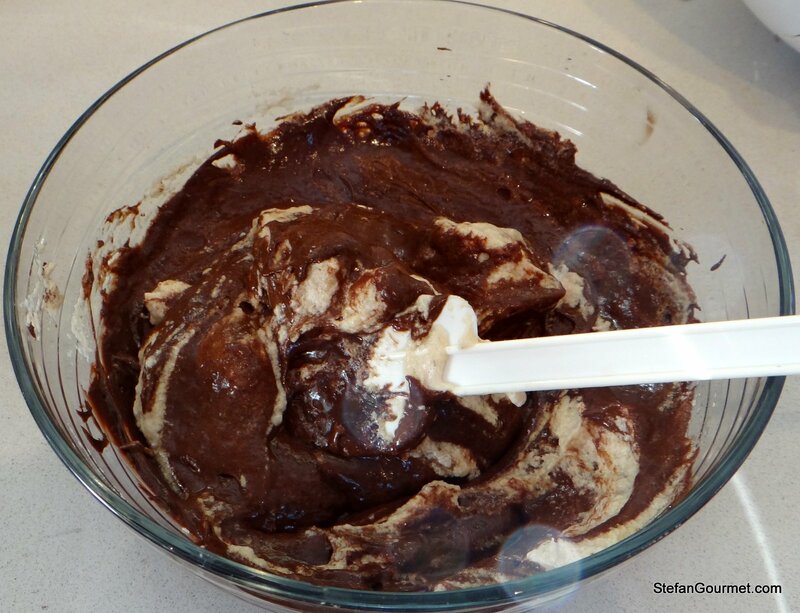 Transfer the chocolate mixture to a bowl. Add a bit of the egg whites and stir vigorously to loosen up the mixture. 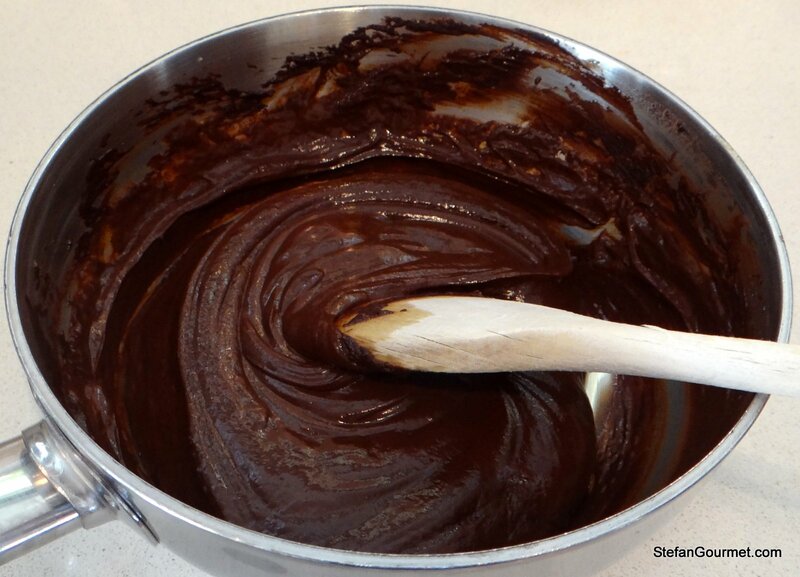 Gently fold the egg whites into the chocolate mixture in three additions using a rubber spatula, trying to keep in as much air as possible. 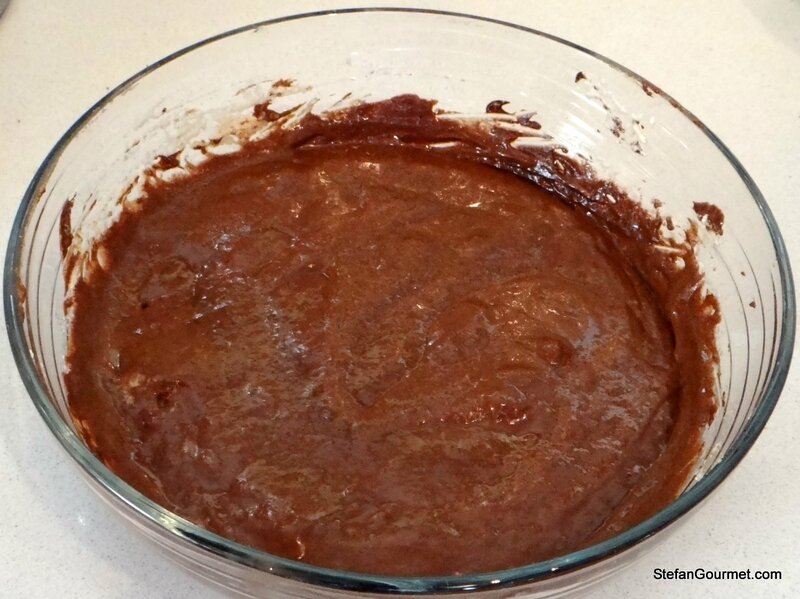 The chocolate mousse is done when the mixture is homogeneous. 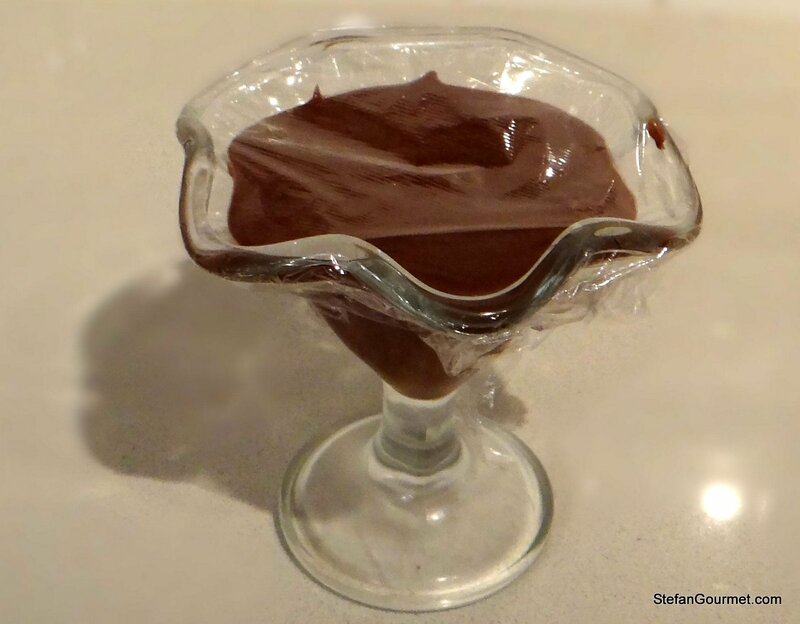 Transfer the mousse into individual serving cups and cover with plastic wrap. 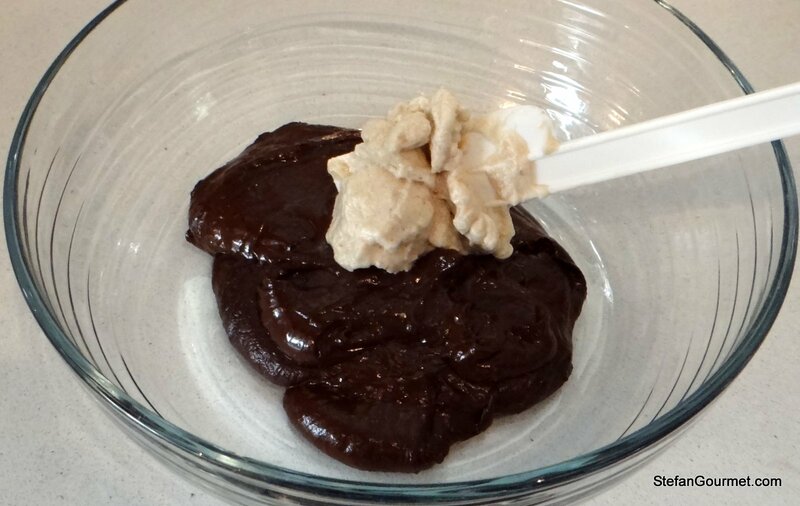 Refrigerate for at least two hours to allow the mousse to firm up. 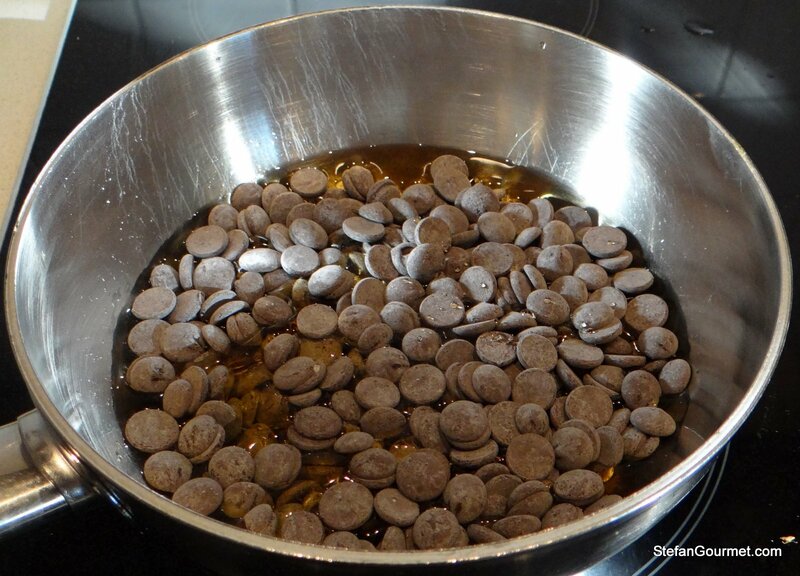 Like most chocolate desserts, this pairs well with a sweet sherry called Pédro Ximenez or PX. Since the chocolate mousse is relatively light, a lighter style of PX will work best. 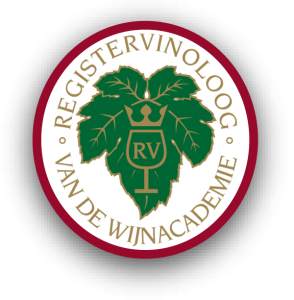 Red dessert wines like Recioto della Valpolicella also work very well, but most white ones won’t. Ziet er weer heerlijk uit Stefan, en makkelijk…… Eten jullie nou elke dag zo lekker? Wel heel leuk om te volgen trouwens je blog. Hoe gaat het verder, ook nog wat met zingen en piano bezig? Dank voor je leuke berichtje! Wij eten elke dag lekker, maar doordeweeks geen chocolademousse en meestal gerechten die wat sneller klaar zijn. Een leven zonder zingen en piano kan ik me niet voorstellen, maar dat is wel wat minder fanatiek dan een paar jaar geleden. Ik heb al jaren geen pianoles meer en ik voeg minder vaak nieuwe nummers toe aan mijn repertoire. Wel elke week naar Onno, en in augustus meegedaan aan de Gay Pride en weer live gezongen. Very nice Stefan. My last chocolate mousse was so thick, I could not serve it to my guests. I did two things wrong. I over-whipped the eggs and I used too much chocolate in an effort to make it “really chocolatey.” Live and learn. My pot au creme was so thick it was like eating a giant chocolate truffle. Not good. Maybe the French like it that way? Next time I’ll try your method. Adding a little Amaretto may not be necessary, Stefan, but it sure does sound wonderful! The combination of almond with chocolate is pure heaven and I bet this mousse is fantastic. Nice post, Stefan. 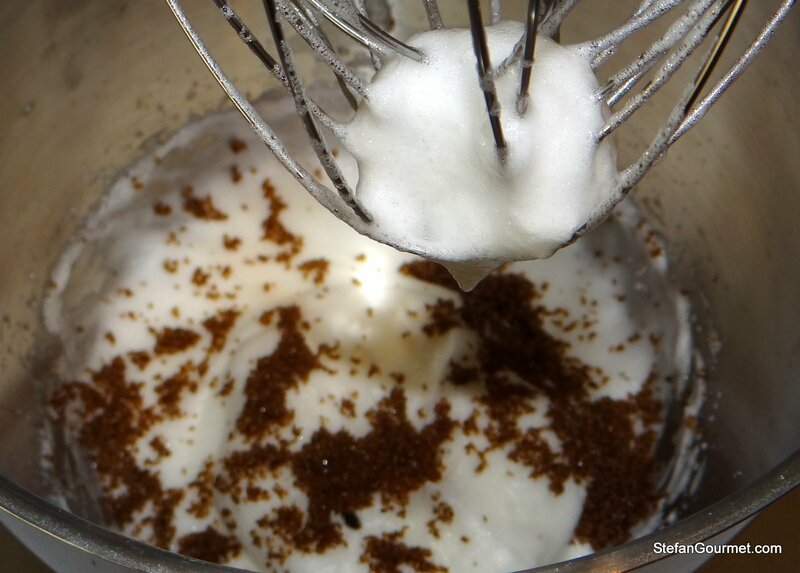 I have always used dark rum and a combination of whipped cream and egg whites in my chocolate mousse. It makes a very nice, light, fluffy mousse. I need to give yours a try to see the difference. I like the addition of Amaretto. It plays very nice with the chocolate. I also love a light red wine with a deep, dark and decadent chocolate mousse. I adore to prepare mousse. The fact that your mousse is super light from trial and error: I love that you perfected the recipe and never gave up. Is dark castor sugar a dark brown sugar? In America, brown sugar is granulated sugar infused with molasses. There are few pairings more lovely than dark chocolate and light red wine (excluding fromage in any form). Thank you for sharing – this I will try soon. Bookmarked and pinned! Sugar is one of those ingredients that has different names everywhere. I think the stuff I used has been infused with molasses, but I’m not entirely sure. You could use any type of sugar; I just like the caramel taste of the dark brown sugar. That explains it. Light and brown sugars are both granulated sugars infused with molasses. 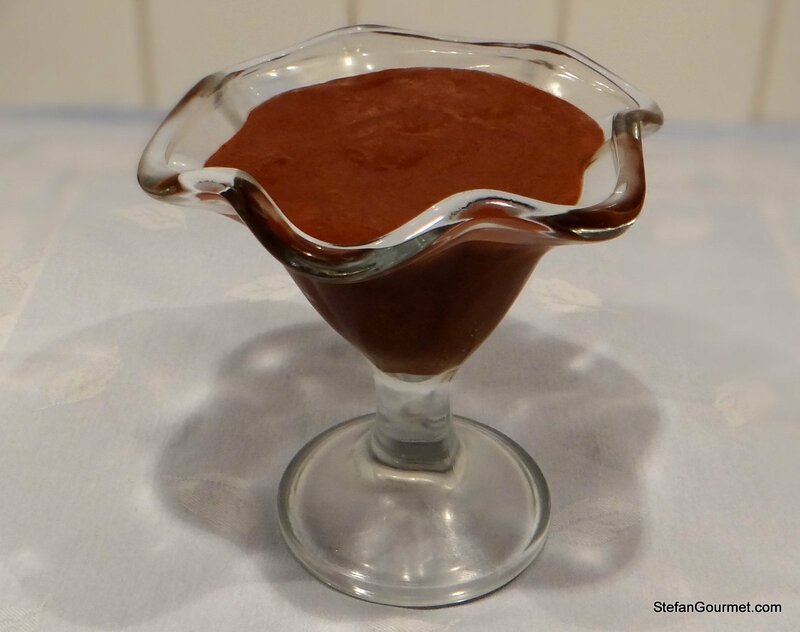 I can’t wait to try this recipe – chocolate mousse is one of my favorite foods – the texture and flavors are divine. Thanks! I love a good chocolate mousse and your one looks amazing! I would so love to try some.